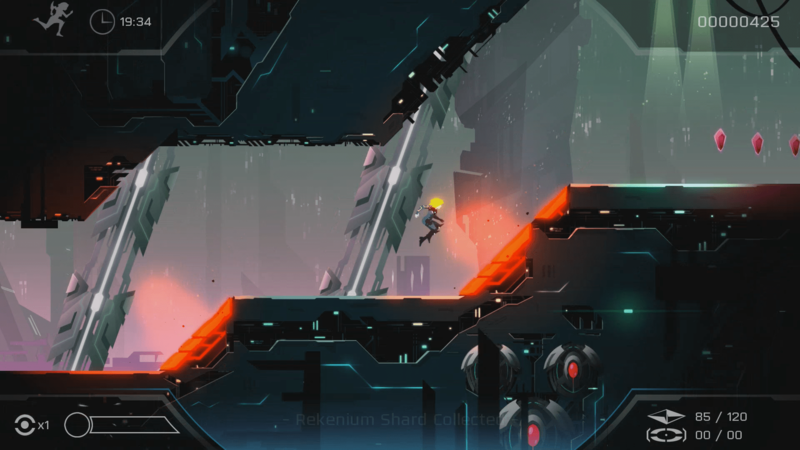 Though I didn’t know much about Velocity 2X when I took the code, I knew it was a hybrid of SHMUPS and platformers, two of my favorite genres. So accepting the code was almost a foregone conclusion. What was more up in the air was how much I would enjoy the game. Much as I like both genres, I wasn’t that familiar with FuturLab, nor had I played the original game, Velocity. Despite that, I was willing to give the game a chance to wow me. Does Velocity 2X soar? Or does it crash and burn on the Switch? The story starts with our hero, Lieutenant Kai Tana, waking up on some alien vessel. Apparently after the events of the first game she was heavily wounded and captured by Vokh forces. These warfaring aliens are putting her back together again, complete with robotic parts. Their goal is to make her another one of their many slaves. Once whole, they test her skills flying a ship until she’s inadvertently saved from perpetual servitude by an unlikely source. Another captive of the Vokh, the pacifist Ralan, has been a slave to their whims for too long, and sees the possibility of change with your assistance. Thus you’re freed from space jail and set off to avenge the many wrongs done by the Vokh empire. I found the story compelling, which is good since there’s a lot of it. 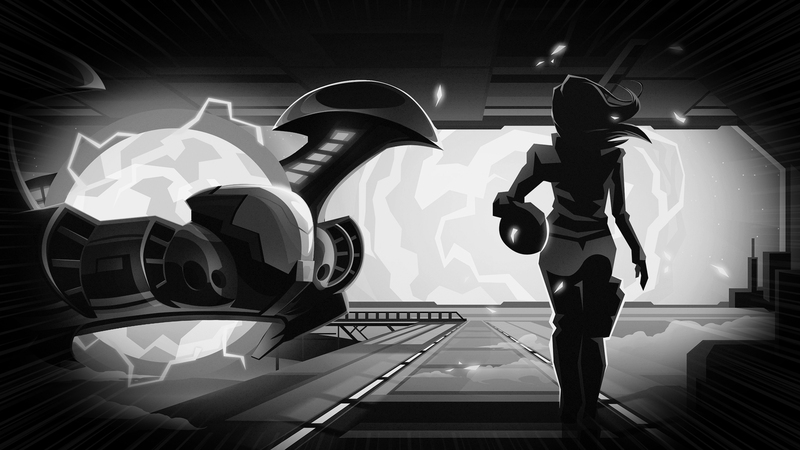 Before each of the games 50 main stages you’ll be treated to a comic cutscene that sets the stage. Though they are all well written, some are less important than others. It’s easy to lose track of which planet you’re heading to or which orbital station you’re infiltrating. All that really matters is that the Vokh are assholes and you’re eager to pay them back for your suffering. Turns out, it’s painful getting cybernetic prosthesis body parts, and Kai has a lot of pent up rage to share. As for how combat plays out, it’s a bit of a mix. 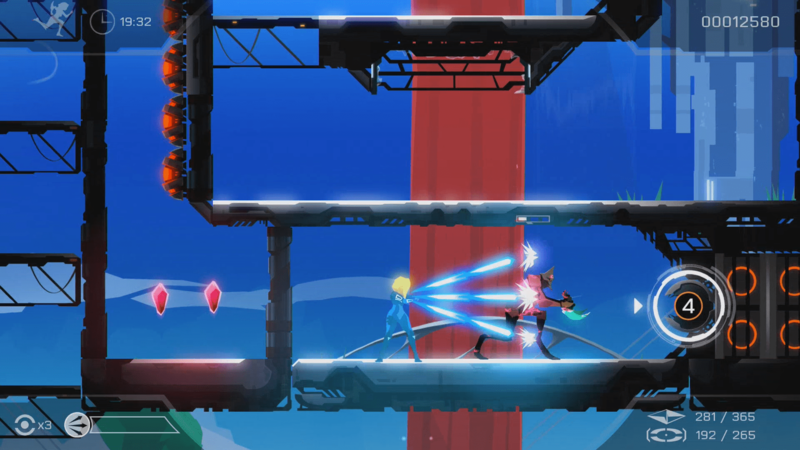 Like I stated earlier, Velocity 2X is a hybrid of the platformer and SHMUP genres. Basically you’ll have to dock during levels and run about to unlock the path forward in your Quarp jet. Both segments have similar controls, though there are some differences. In jet mode, the right shoulder buttons throttle you forward, while the A button shoots and the left joystick moves your ship. 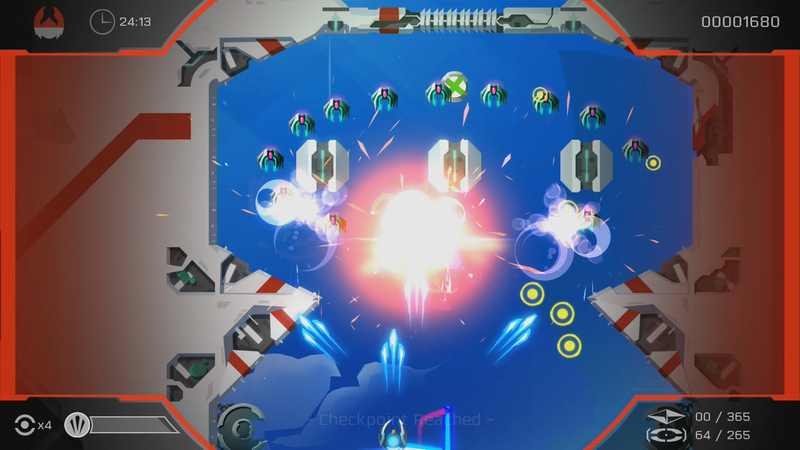 Once you get access to some other techniques, the left shoulder buttons control your Teledash, Y sets a Telepod and the right joystick controls your multi-directional bombs. In platforming mode, things are pretty similar. The left joystick controls movement, and the right one lets you unleash a volley of firepower in any direction. Here, A is used to jump or slide under narrow corridors. 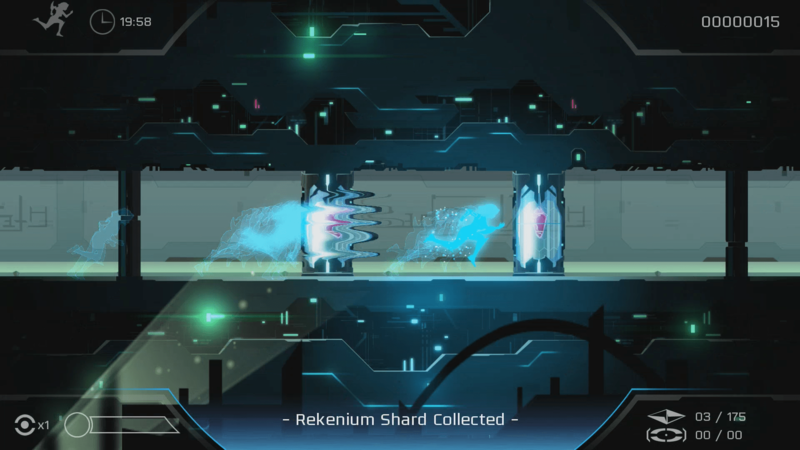 Though Teledash works the same, Telepods are a bit different. While you only set them in jet mode, here you can toss it like a pool ball, bouncing it off corners to reach hard to get ledges. Then you can pause and teleport wherever they are. Just keep in mind you have a limited number of Telepods in this mode, so be sure to retrieve them if you keep missing your tosses. This is an easy Telepod toss. They get much crazier. You might be thinking this sounds complicated, and that’s cause the controls surely are. 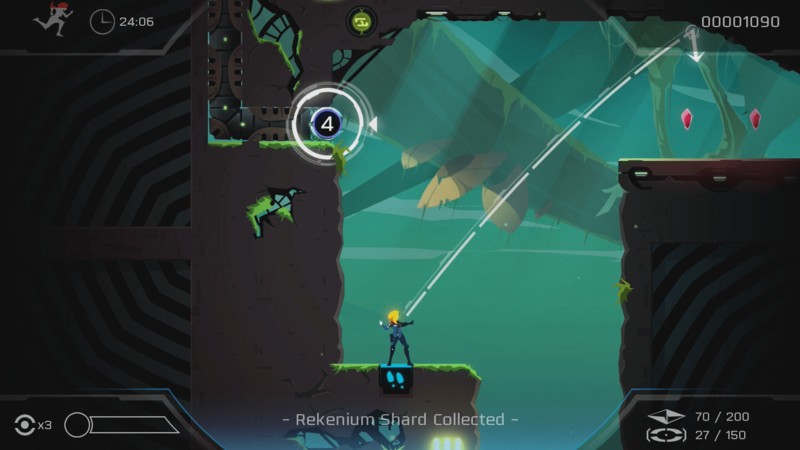 To put it simply, Velocity 2X is a highly ambitious game, and sometimes that means things can get a bit tricky. 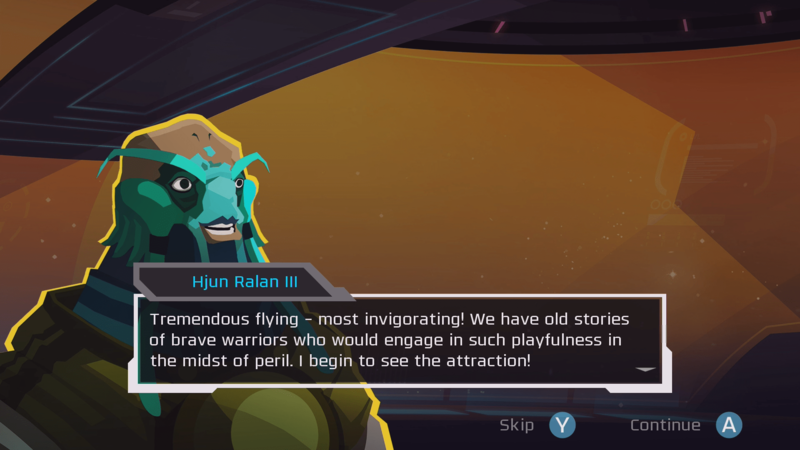 I’m all for ambition, and respect how much FuturLab is trying to fit into this title. Unfortunately, it doesn’t always work. Because though sometimes the game runs as smoothly as the title might suggest, more often than not it shudders to a screeching halt. Let me give some examples. Though I like the SHMUP segments of the game, it got a bit complicated needing to alternate between thrusting forward, dashing and attacking. See, the game screen will gradually scroll upwards, but at a very slow rate. You can speed things up with your throttle, but there’s a catch. It’s very easy to squash yourself in the level geometry, since it’s often composed of several small apertures. Think of swish cheese in space, and you have the right idea. You’ll always need to find your way forward, and usually that involves dashing between tight spaces. Unfortunately, you have to manage this as the screen is moving, while at the same time picking the right time to shoot forwards or hurl bombs all around. I almost wished that your ship would always be firing forwards by default, since it got to be a lot to keep straight in my mind. Or if perhaps if it was an endless runner style of game, without the player needing to control the throttle, it might have worked a bit better. Another issue I ran into takes place in the platforming segments. At first these were a blessed relief from the SHMUP segments, but then they started to complicate it with very precise Teledashing. I don’t mind warping about, but when you’re forced to do so while jumping or falling, and failure to time it right means instant death, this became an issue. Especially since momentum is required to push the reticle in front of you. Then they get really complicated late game, requiring you to toss a Telepod, then shoot a switch so the pod can get past a gate, then teleport while it’s in mid air. I’m still impressed I managed that sort of feat, and they become more and more common the farther you get in the game. My last complaint regards the speed of the game. You’d assume from a title like Velocity 2X that things are constantly moving at a fast clip, and while that can sometimes be true, it often is not the case. The game keeps tossing more things at you that force you to stop your progress and do something else, be it teleporting back earlier in a stage, docking or just warping around. Worse is that if you fail to hit a switch in the proper numbered order, you’ll often be completely unable to complete a segment afterwards, forcing you to restart the whole stage. This is all exacerbated by the game scoring you on how fast you beat a stage. Essentially, everything you do gets scored, including your item completion and total points. Doing well earns you more XP, which is used to unlock future levels. My issue was that, while this didn’t trip me up early on, later in the game I was forced to go back and grind for XP for several hours just to unlock the final stages. 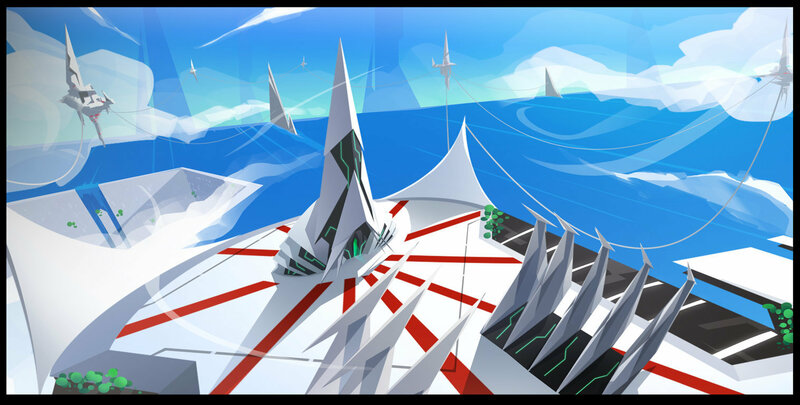 While I have many legitimate complaints about Velocity 2X, I can’t fault it for the aesthetic design. I was really drawn in by the cel shaded comic book style of the cutscenes. These do a remarkable job of making me care about what’s happening to Kai and the species enslaved by the Vokh. It also does a good job of making the Vokh seem militaristic and narcissistic, a deadly combination. The music wasn’t quite as impressive, mostly cause there were only a couple songs they kept using for the entirety of the game. That said, it didn’t feel out of place, and the sound effects worked well. Though the Nintendo Switch version does have special features like DLC stages and Daily Challenges, I was worn out by the main game, and didn’t really get into those. Don’t get me wrong, there’s a lot I enjoyed about Velocity 2X, but it was a bit bogged down by the questionable control decisions. Maybe it worked better on Vita and other consoles, but here I felt like the developers required using every button on my Switch. Combined with odd decisions like locking levels behind XP gates really hurt the game, in my opinion. Instead, I wish you could have used XP to power up your character and ship, though to be fair you do acquire minor upgrades at set plot points. 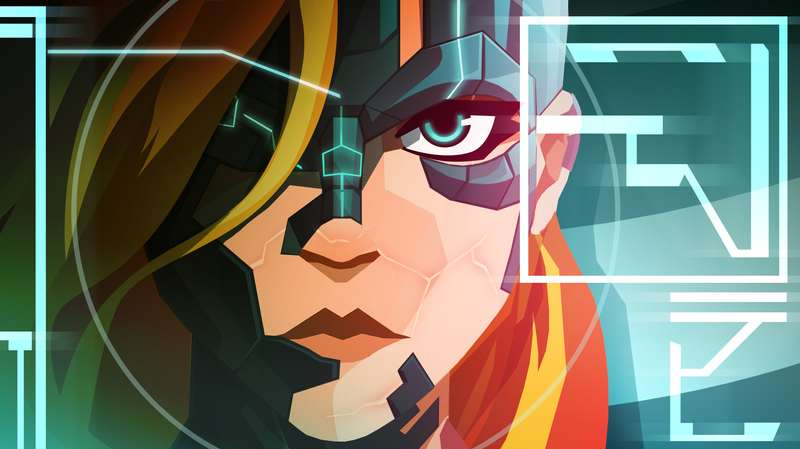 Despite my issues with the game, I mostly enjoyed Velocity 2X. 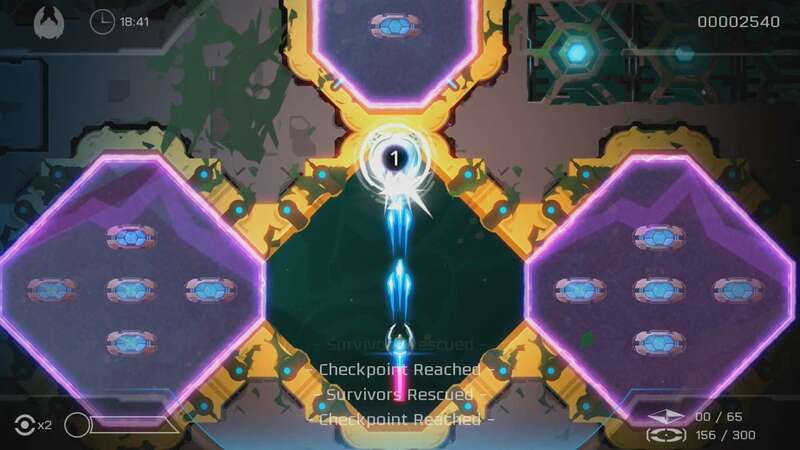 I can respect FuturLab for taking a chance with a complex control scheme, even if it didn’t entirely work. Coupled with a interesting plot and captivating characters, I’d still recommend this for fans of both genres. For $19.99, you get at least 10 hours of gameplay, and tons of extra stuff you can unlock. Just don’t go into it expecting a standard SHMUP or platformer, cause in many ways this feels more like a puzzle game. That said, I am glad this indie finally made the Switch, and I’m eager to see what else Curve Digital and the team have up their sleeves next time.